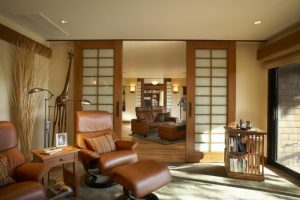 There are many kinds of chair shapes that can you choose to decorate your room. 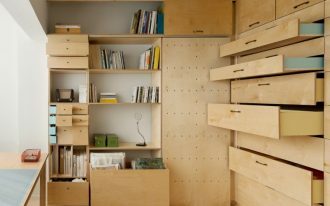 Each one of it will take part of determining the look in your room. 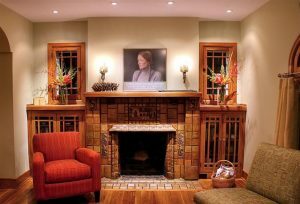 You might want to make your room in harmony with fun hint here and there. 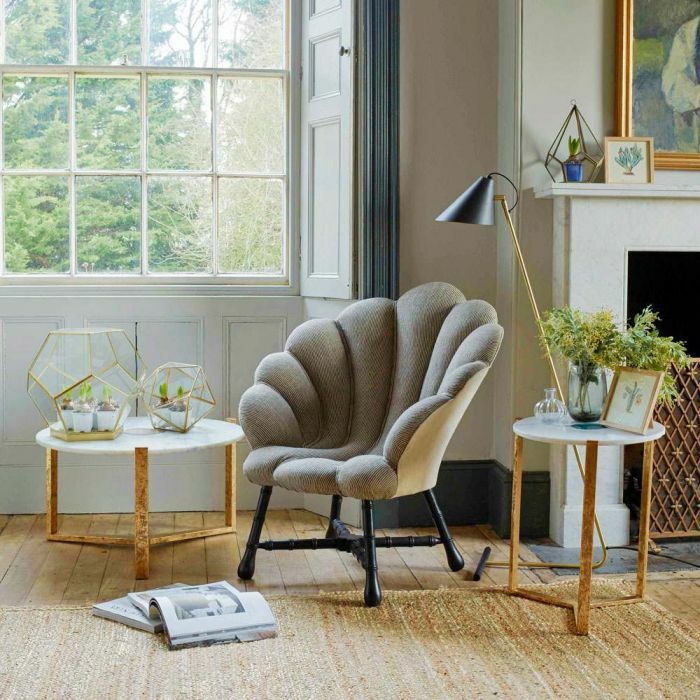 If you love to add the fun bit to make your room feels different, here below are the shells chair that will help you get the freshest look in the room. 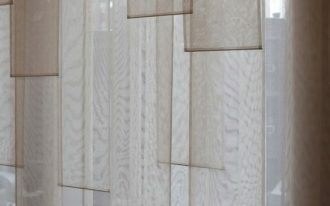 Velvet is one of the material that has been a favorite one, especially in the living room. It is because it has smooth surface and elegant look. And covering shell shape has added fresh trait into the room. 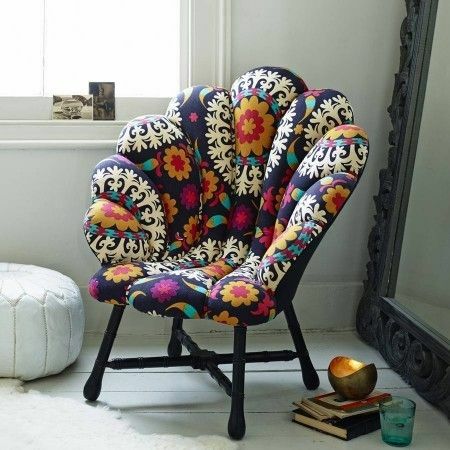 When you love the shape of shell chair but you want to go with more colors and patterns, you will have a unique shell look, like this one here. 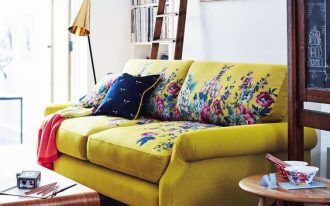 Instead of covered in one color material, this one is covered with colorful flowery pattern that enhances the fresh vibe. One of the most endearing parts of shell chair is the wave on the chair rim. It is a pretty accent. If you love it too, you will love this soft colored one here because it has wave no only on the back but also on the seating as well. And, speaking of pretty, this soft green color will be a great match for a room with neutral look. Obviously, shell chair is perfect for a beach or navy styled room. And it is perfectly seen in the picture below. 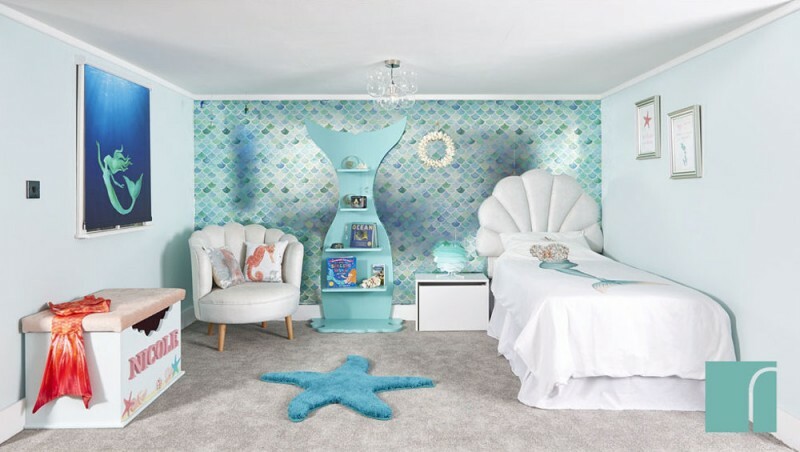 The mermaid room takes a great display with the white shell chair. 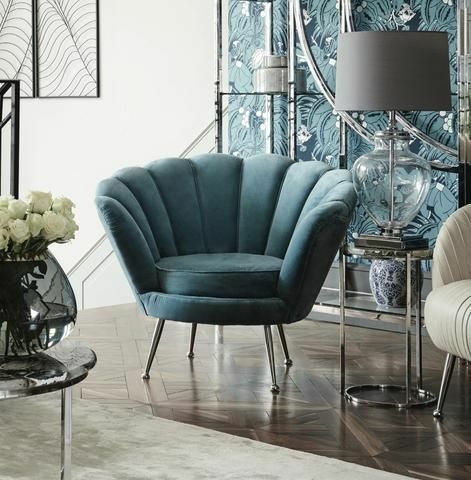 The neutral look of the chair has balanced the room perfectly well. 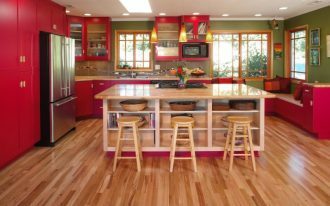 In a celebration for natural material, shell shape can also be made into an appealing look. 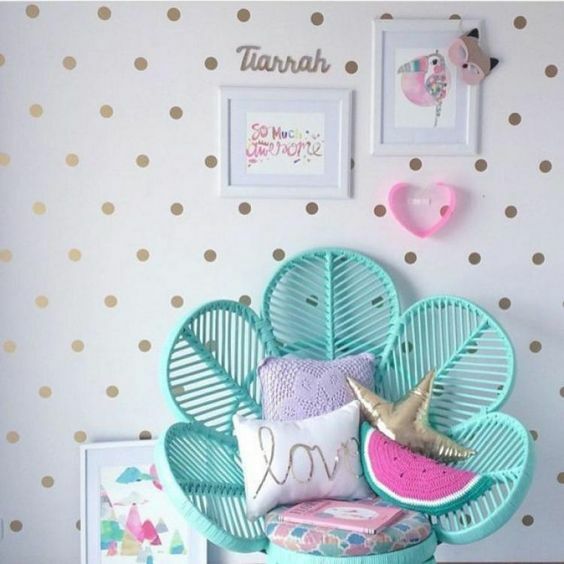 Also commonly know as flower and peacock shape, this one is pretty popular in rattan chair. And seeing how beautiful it is here, it is understandable. Even though the details on the rim can be too much, with the right design line, it still can complete a modern look of a room. 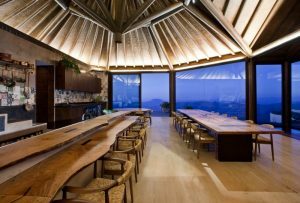 Combined with another modern characters like natural materials and geometrical lines, it’s like it belongs there as much. 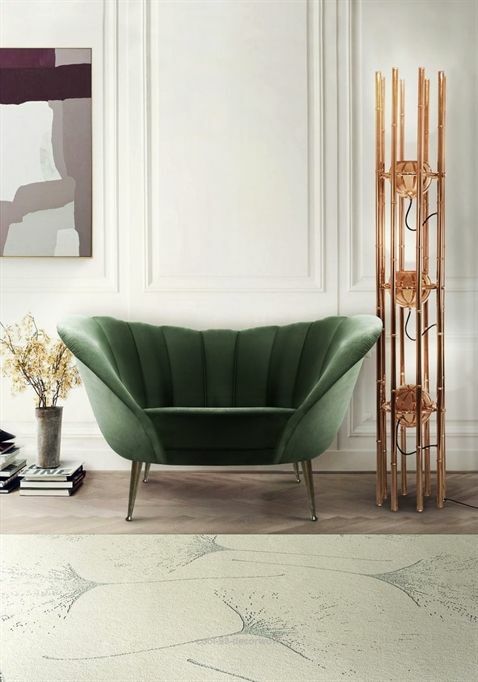 Although shell shape is really popular in chair form, i does not mean that it does not look good in longer form, like comfortable chair like this one here. Seeing this one below can tell you how attractive and elegant it will make you room. 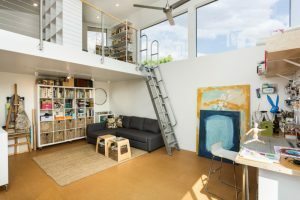 The large space will make sure your time with it will be more comfortable for long time and the delicate lines will help you get the elegance. 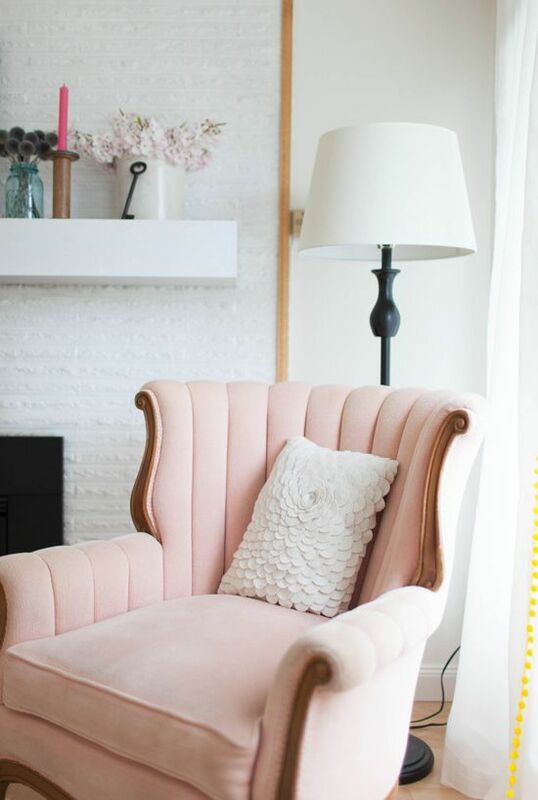 Requiring a soft look is really easy when you have the right material and color like this one here works with soft pink and velvet. The shell shape is quite subtle too that it looks like a regular chair. However, the back and arm rest indicates that it has hidden shells vibe in it. 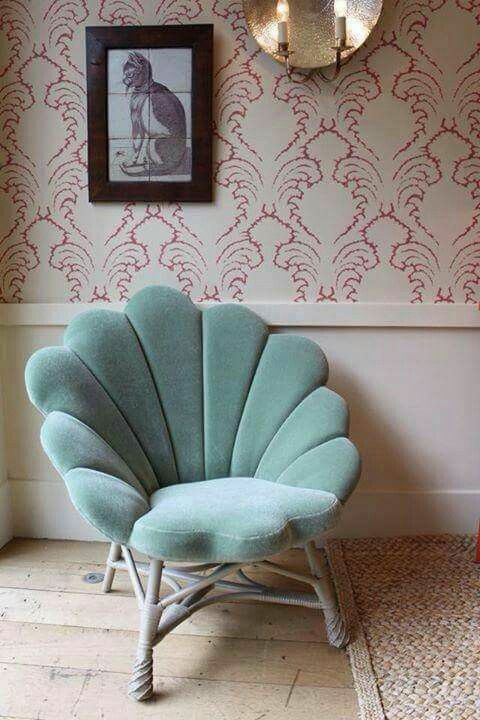 While the previous one display how interesting it is to have a chair with shell shape, this one here displays how a room will be pretty, elegant, and fun with the wave on the back of shell chairs. 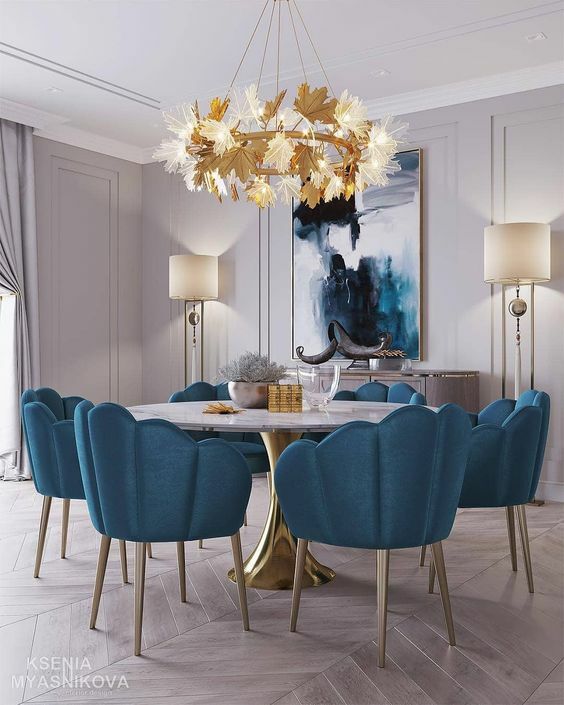 Seen in this one is a dining room with beautiful blue color on the chair that set the contrast and put a strong look in the dining room. Similar to the previous one, this one also brings shells on the dining room. 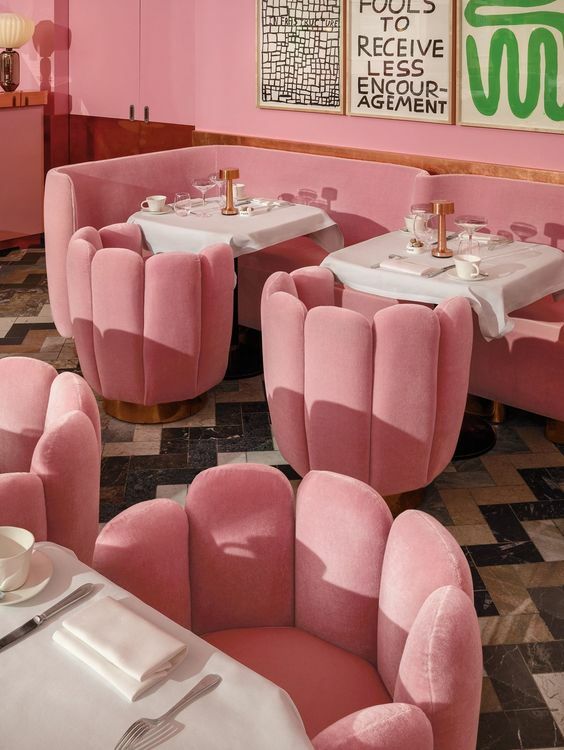 The interesting part is the combination of pink sofa with this shells. It’s quite entertaining and bring smiles to those who come to see it.